Why would I need self storage in Hobart, IN? There are a variety of reasons why you might need self-storage in Hobart, IN. How much is a storage unit in Hobart, IN? The cheapest storage unit in Hobart, IN is $53.00 per month. What size storage units do you have available in Hobart, IN? In Hobart, IN we have sizes that range from 5'x5' to 10'x30' to suit your storage needs. How much is it for a 5'x5' storage unit in Hobart, IN? The cheapest 5'x5' storage unit in Hobart, IN is $53.00 per month. Hobart is a thriving midsize city in northwest Indiana, with a balance between its many residential developments and a large and vibrant retail corridor. The area is a popular recreational destination thanks to Lake George, a large body of water offering fishing and boating among its many species of waterfowl and giant catfish. The area of land where Hobart now sits was first settled by the Pottawatomie Native American tribe. English settlers, unable to build a prosperous life in nearby Liverpool, arrived in the area in the mid-1800s. George Earle, the city's founder, immediately built several businesses, including a sawmill and gristmill with a millpond and dam. The first post office opened in 1847, and in 1849 Earle named the city after his brother. Flour and lumber production served as the primary industries in Hobart during its early years, thanks in large part to Earle's mills. The original, five-story gristmill burned down in 1853, but commerce continued to thrive in this area. Brickyards also moved to Hobart, creating another source of revenue for the city. Local brickmakers exported bricks, terracotta tiles and other products to a number of cities, a process made easier by the nearby waterways. Originally established as a town, Hobart officially became a city in the early 20th century. As it annexes surrounding communities, it grows in terms of both residents and businesses, which creates a stable home base for its citizens. You'll find plenty of restaurants and retail establishments to choose from in Hobart, making it easy to enjoy your free time as well as complete everyday errands. Several public parks in the area, attract outdoor enthusiasts, and families have access to many public and private schools. The city also offers a public 18-hole golf course, a variety of sports fields, a public swimming pool and walking paths. Southlake Mall, one of the state's largest indoor malls, offers more than 200 shops and restaurants to explore. 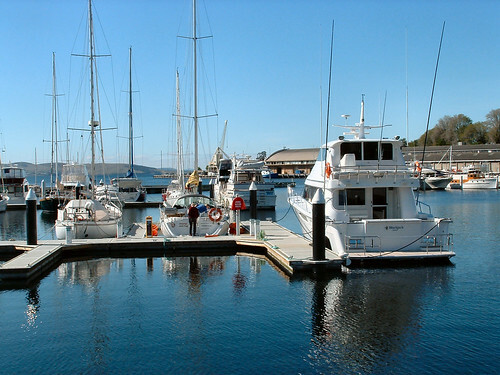 One of the top reasons that people relocate to Hobart lies in its low cost of living. You'll enjoy affordable access to necessities like housing, health care and utilities. Though its unemployment rate is higher than the state average, you can consider commuting to nearby cities for work. Chicago is just over 30 miles away, and has an extremely large job market with many employment options. The City of Hobart School District is responsible for nearly all the public schools in Hobart, though the River Forest Community School District does serve a few outlying areas. Private schools in the city include a pre-K-8 parochial school and a Montessori academy. Utilities: The city's utilities department oversees residential water services and billing. NIPSCO is the primary electricity provider in the area. Garbage and Recycling: Trash is collected on a weekly basis, while recyclables are picked up bi-weekly. Transportation: A network of bus routes provides public transportation around Hobart. Senior citizens can take advantage of a free, city-operated transit program. Most of the homes in Hobart are single-family residences, but you can find some apartments, townhouses,and condominiums. On average, Hobart homes are very affordable, with a median home price that's far below the averages for nearby Chicago. Our lowest priced units in Hobart, IN average $53.00 per month. 87 people have reserved units in Hobart, IN in the past 30 days. There is 1 location within Hobart, IN's city limits.